This suite is adjacent to the Lord Geoffrey Suite, and features one queen bed. Similarly decorated in the same tones as the Lord Geoffrey. There is a double occupancy for this suite. 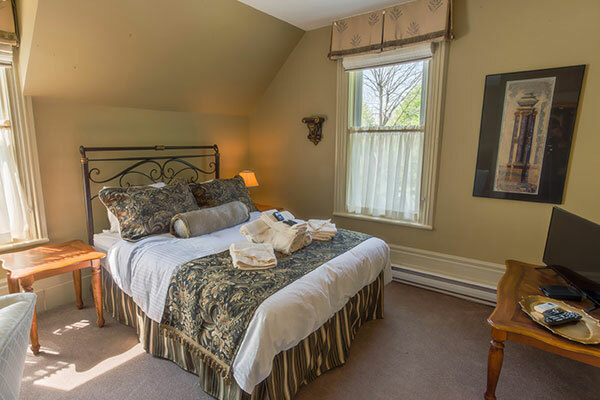 Enjoy free parking while staying at the Woodview Inn. This suite features a wonderful original ornamental (non-working) marble fireplace. Click here to reserve this room online today!